We have two good causes we are supporting in the next few weeks, and we’d love to have your support. Below, learn more about what we have coming up & how you can help! We work with a LOT of wonderful nonprofit organizations, in addition to the two mentioned below — and we try to support them ALL throughout the year. Look for our second annual “give guide” featuring all of our nonprofit clients next month here at JagForms.com. This year, Sara joined the Associate Board for SMART – Start Making A Reader Today, a statewide nonprofit that pairs volunteer readers with students across Oregon to improve literacy — and give kids the tools to become part of an educated workforce & a healthy, productive society. 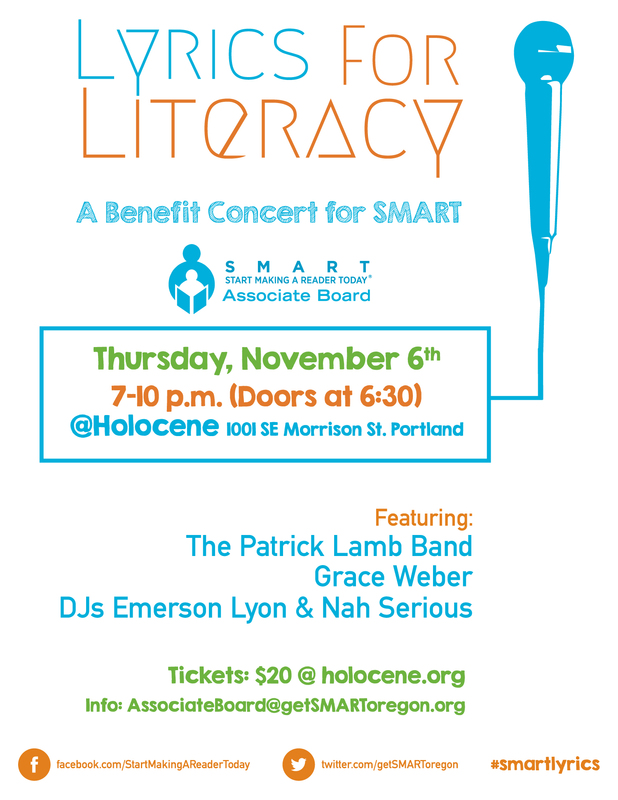 On November 6th, the SMART Associate Board will host its signature fundraising event, Lyrics for Literacy – a concert benefiting SMART’s programs in the Portland Metro Area. Tickets are just $20! You can purchase yours online. Additionally, SMART is still seeking sponsors for this signature event. If you or your company are interesting in supporting SMART, please email Sara at sara@jagforms.com and ask about becoming a SMART sponsor. This year marks 20 years since Jeff was diagnosed with non-Hodgkin lymphoma — a rare skin cancer known as Mycosis Fungoides. A cancer diagnosis doesn’t seem like the type of thing you’d want to celebrate — but after 20 years, Jeff is alive and healthy, so heck yeah, we’re celebrating. On October 25th, Jeff and Sara — along with their spouses — will participate in the 2014 Light the Night Walk benefiting the Leukemia & Lymphoma Society (LLS). It’s thanks, at least in part, to their tireless research that Jeff is here today. If you would like to support our team, you can donate here or even register to walk with us!